Coin collecting is a very specific hobby. The Sheldon coin grading scale is a system that was developed to grade and rate collectible coins. It is a 70-point scale that is used to base a coin's value. The American Numismatic Association (ANA) based its Official ANA Grading Standards in large part on the Sheldon scale. A circulated coin graded AU-53 (also known as About Uncirculated 53) will show noticeable spots of wear on several high points. It will have very few contact marks or blemishes, and generally good eye appeal. Luster is diminished. Although AU-53 is an official ANA grade, it is rarely used in pricing guides and coin catalogs. A coin graded AU-53 is near the upper end of the coin grading scale. It has indications on its surface that it is not an uncirculated Mint State coin. Effectively, any coin with this grade should be a nice example that you can add to your coin collection. If you are working on a collection of coins that you are striving to complete with all uncirculated coins, some rare or expensive coins may be available in AU-53 that will fit into your coin collecting budget. 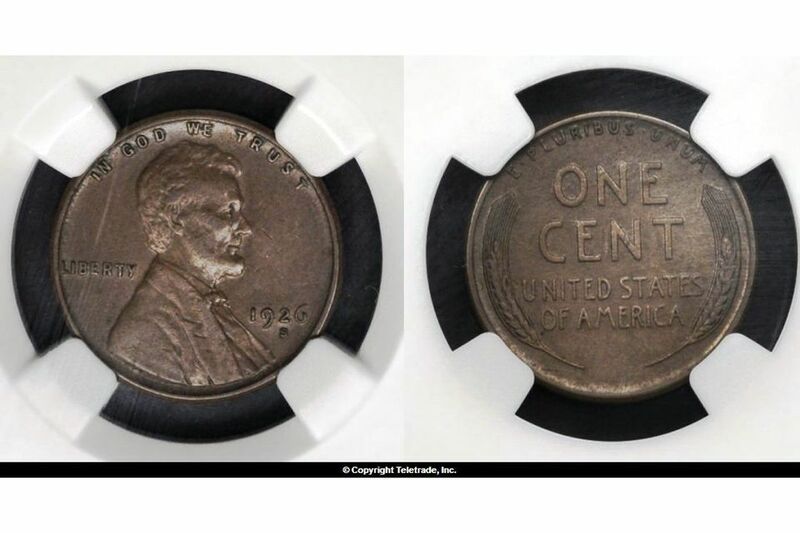 Be careful when looking at coins that are graded as uncirculated. Some unscrupulous coin dealers may assign a Mint State grade (MS-60 to MS-70) for coins that are only About Uncirculated. Look carefully at the coin to see if you can detect any wear on the high points of the coin. This is usually indicated by a lack of mint luster on these high points. This Lincoln Wheat Penny is graded AU-53 because it shows signs of very slight wear, has only a few contact marks, and most of the original mint luster is still present. Look for coins that are solid for the grade in About Uncirculated condition. AU-53 coins will be slightly weaker than the average About Uncirculated (AU-55) coin. Mostly you will see that the luster is a little more faded and subdued. You will notice that the wear on the higher points of the coin is slightly more pronounced. The exact descriptions of circulated grades vary widely from one coin issue to another, so the preceding commentary is only of a very general nature. It is essential to refer to the specific descriptions for a particular coin type when grading coins. The correct adjectival term for the "A" in AU is About, not Almost. While numbers from 1 through 59 are continuous, it has been found practical to designate specific intermediate numbers to define grades, resulting in steps. This text uses the following descriptions and their numerical equivalents, as approved by the ANA Board of Governors. While the preceding guidelines will undoubtedly prove useful to the reader, it is strongly advised that viewing actual coins in the marketplace will enable you to better determine grading practices affecting the series which interest you most. For example, the collector of Morgan silver dollars would do well to examine Morgans graded by a variety of services and sellers in order to determine in general what is considered to be MS-63, MS-64, MS-65, and higher grades. Reproduced with permission from The Official American Numismatic Association Grading Standards for United States Coins, 6th edition, © 2005 Whitman Publishing, LLC. All Rights Reserved. What Does "About Uncirculated" Really Mean?